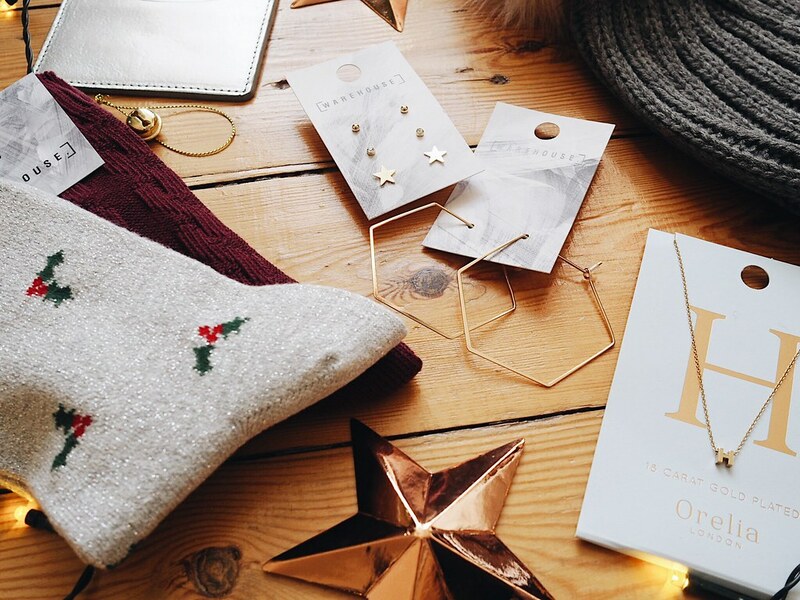 It’s a month until Christmas and I am so excited to be writing some festive inspired blog posts now. In my last post I listed 18 of my favourite Christmas jumpers. In this one, I thought I would list a few of my favourite items that would be great Stocking Filler ideas. I love stocking fillers – those small thoughtful gifts that mean a lot but don’t necessarily break the bank. 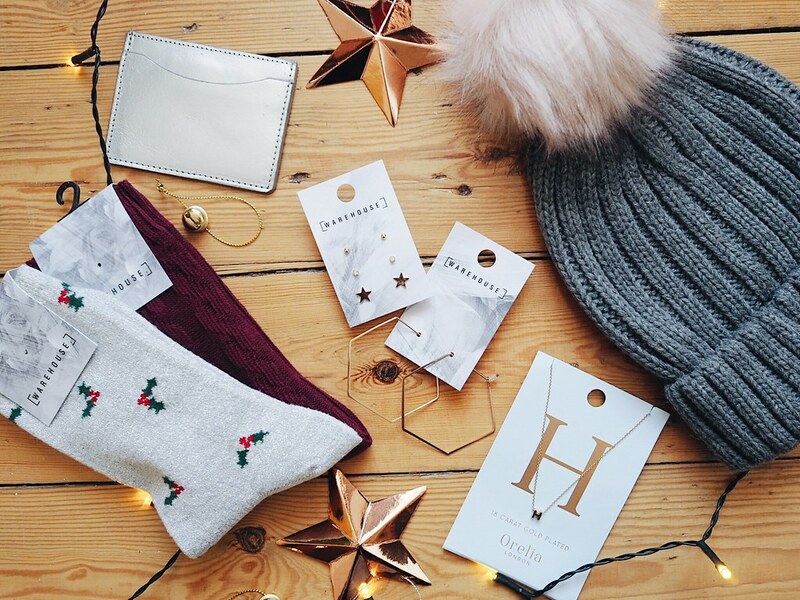 These items would definitely make the best ‘Secret Santa’ gifts too. 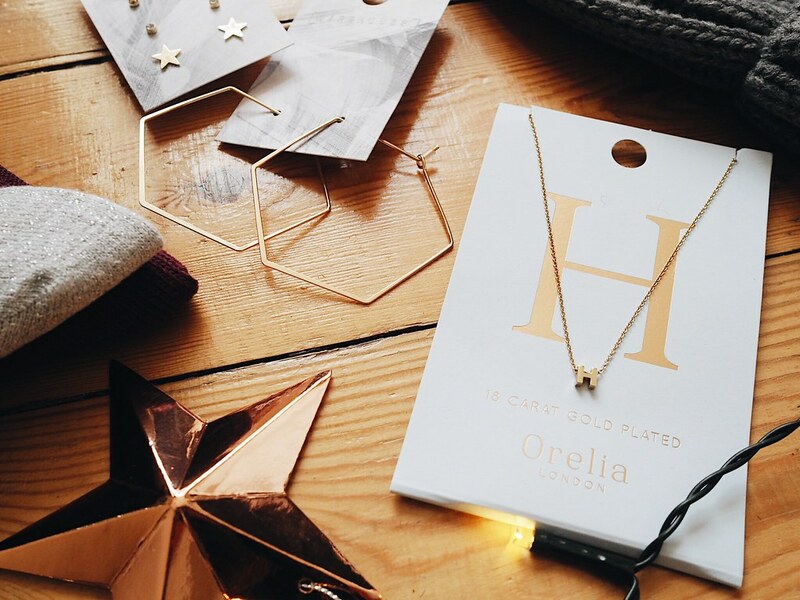 One of my favourite things on the list is this gold initial necklace by Orelia. A friend actually bought this for me to cheer me up a few weeks ago and I have worn it every day since. It’s a great stacking necklace and is so simple it goes with every outfit. 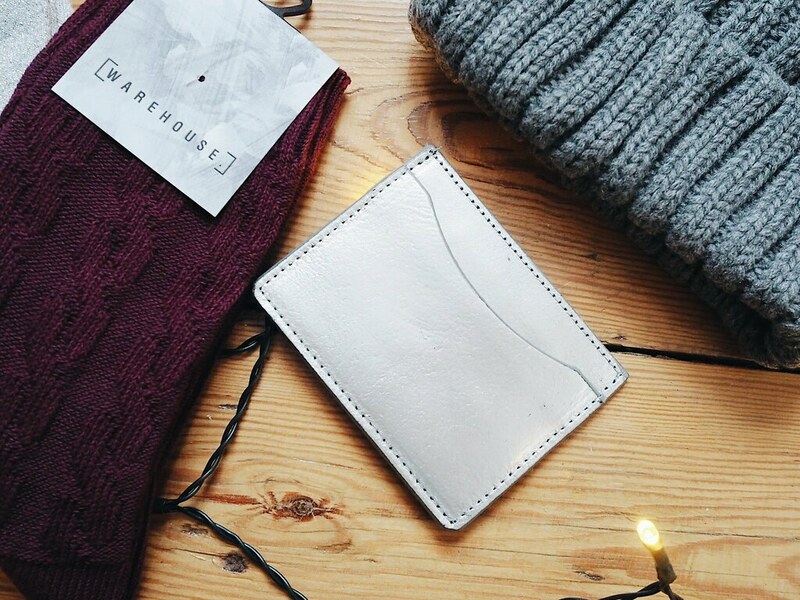 If you’re like me and don’t like to take your entire purse with you when you go out in the evening then this gorgeous silver leather card holder is the perfect solution. What makes it extra special is it comes with the option of being ’embossed’ with up to 10 characters of your choice. Warehouse have a number of different items in their ‘Monogram.Me’ range with a few different colour options. This is high on my Christmas list along with matching purse! 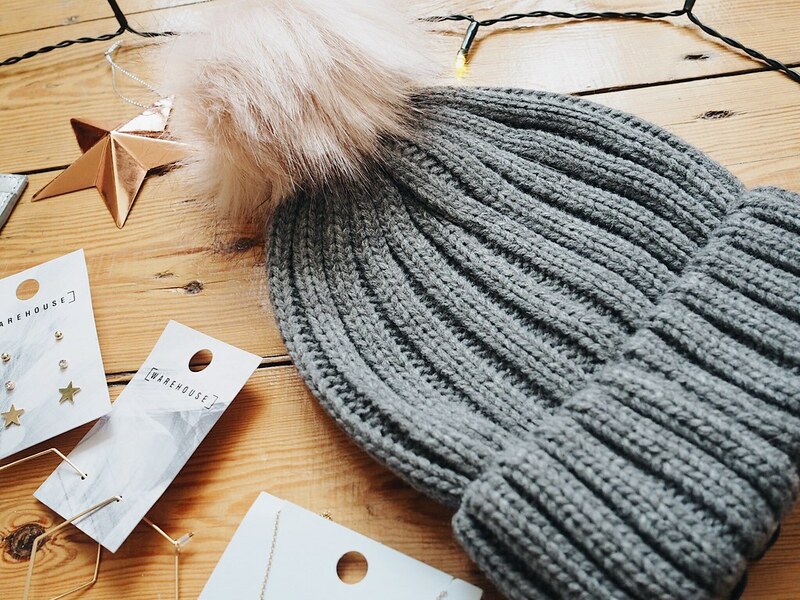 Hats are a MUST have in Winter. Not only do they keep your noggin’ nice and warm, they can look pretty stylish too. There are so many lovely ones in all different colour combinations available this season. This gorgeous grey and pink one is my favourites. It’s so soft and the colours would go with everything. Earrings have been HUGE for 2017, especially statement tassel ones, but for this post I thought I’d bring it back a little and include these beautiful simple gold earrings. 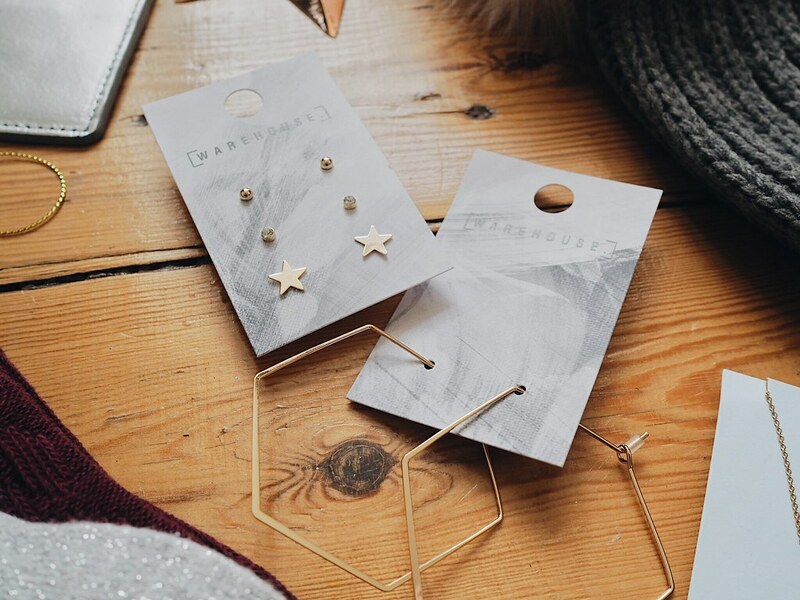 The earrings in this star stud triple earring pack are perfect for wearing during the day and would really compliment any outfit. The hexagon shaped hoops are a winner for me though – they would look gorgeous worn on Christmas Day. Simple but stylish. What’s Christmas if you don’t get given a pair of socks? Maybe it’s my age but I LOVE it when someone buys me a pair. These maroon coloured cable knit socks are lovely and cosy and would look great under a pair of boots keeping your toes nice and toasty. I also had to include a Christmas themed pair and these silver holly ones are so cute and festive! 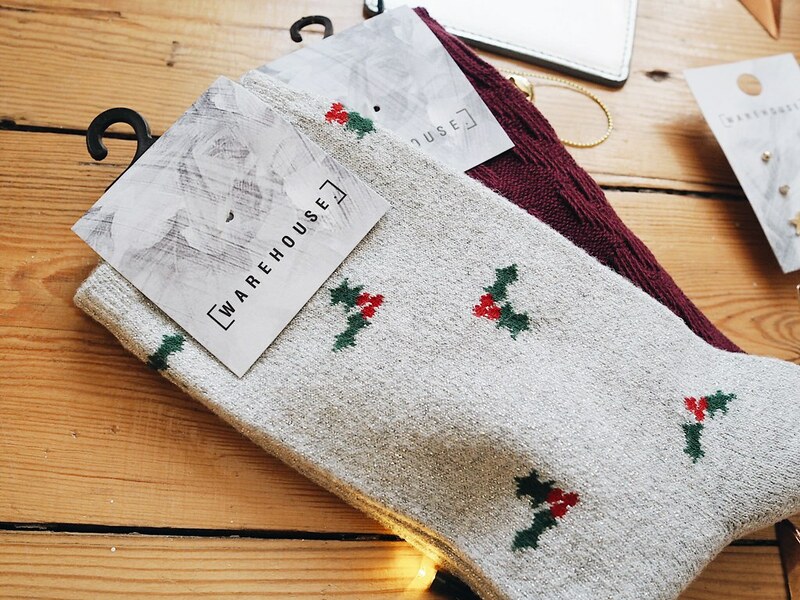 Warehouse also currently have 30% off Winter warmers so grab yourself a bargain! This is a collaborative post but all views, as ever are my own.